Sigrid Nauwelaerts of Johnson & Johnson talks to us ahead of her Mobility Masterclass at the FEM EMEA Summit. 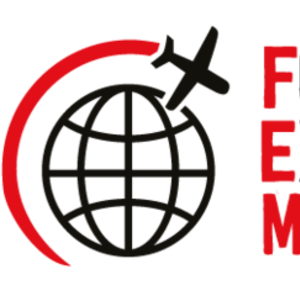 FEM is delighted to confirm that Sigrid Nauwelaerts, Regional Director, Talent Mobility – EMEA at Johnson & Johnson will be joining us to present one of our brand new Mobility Masterclasses, 'How Johnson & Johnson created their award-winning talent strategy', at the FEM EMEA Summit 2017 on 9-10 November at the O2 InterContinental, London. In 2016, Johnson & Johnson won the EMEA EMMA for Best Talent Mobility Strategy, so Sigrid is extremely well qualified to present on this subject. SN: I started as a tax consultant with PwC and then moved to the industry. I have been in an in-house mobility role since 2005, so about 12 years. SN: Many! Mainly changes to align to global approaches, policies and use of vendors and tools. FEM: What are the key messages you hope delegates take away from your session 'How Johnson & Johnson created their award-winning talent strategy'? SN: HR Talent and mobility professionals from companies with both large and smaller programs. When is the right time for mobility transformation? Corporate change journeys and Implementing a strong global mobility ecosystem. Sigrid took on this role in 2013 and has responsibility for developing and executing talent mobility strategies to support the J&J businesses in EMEA. She has considerable experience in global mobility and international tax. Prior to Johnson & Johnson, she was Global Mobility Manager EMEA with Cargill Europe, and before that was at PricewaterhouseCoopers in Belgium and the UK. Sigrid holds a Master’s in Applied Economics from the University of Antwerp, certification as a Belgian Tax Consultant and completed a Master’s in Tax Management and a Master’s in European Studies from UCL (Belgium) and Pantion University in Athens, Greece.